Gift Tags DIY Made From Old Ribbons And Greeting Cards! 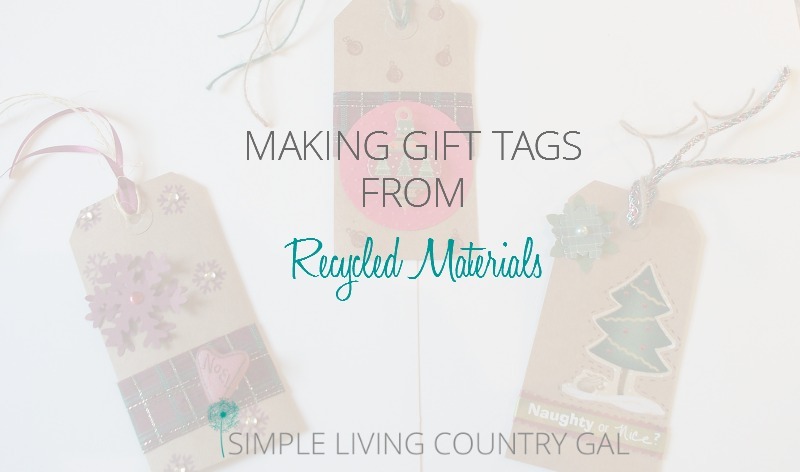 Gift tag DIY from recycled materials. If you are like me you HATE to throw anything away. What some folks see as clutter and trash I see as a future crafting supply. Year after year I would have loads of cards and piles of pretty ribbons and no ideas as to what to do with them. I could hardly wait to put my stash of holiday cards to good use. Now, after the holidays are over I gather all of those greeting cards, ribbons, and embellishments. I sit down sorting through what can be reused. I can spend hours in my craft room with my holiday box making tag after tag. The best part is, these tags can be made throughout the year so when the holidays come around you are all ready to get wrapping. You can also use up scraps of holiday material with fusible backing. Apply the backing, allow to cool. Cut out the images and scenes that are on the fabric. Once done iron the material right onto the tag. Once cooled, use a black think magic marker to add a dashed line around the border to look like stitching. This simple touch really adds to the quaintness fo the tags. I thought I would share a few of mine to help get your creative juices flowing. Enjoy these DIY gift tags and reuse your holiday greeting cards today! « The Goat Lovers Gift Guide!